Around 60 fragments of India's Microsat-R military satellite are currently flying in orbit, 46 of which are flying in orbits located above the apogee of the International Space Station (ISS), according to the US Air Force's catalog, published on space-track.org website. The US Air Force's catalog currently includes 57 Microsat-R fragments flying in orbits at altitudes from 159 kilometers to 2,248 kilometers (99-1,397 miles). As many as 46 of these fragments are flying in orbits above the ISS apogee, which stands at around 400 kilometers. 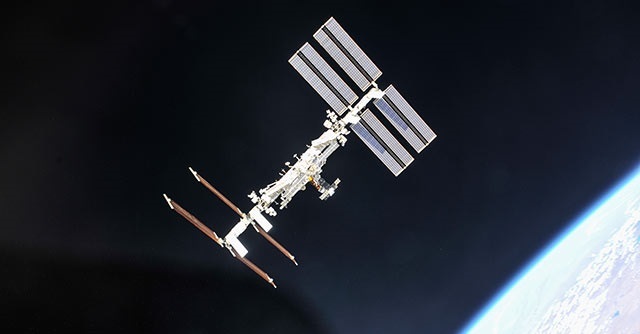 Ivan Moiseev, the head of the Russian Institute for Space Policy, has commented on the matter, telling Sputnik that fragments flying above the ISS were a threat, albeit an insignificant one. "There is a threat coming from the Indian satellite, but it is a highly unlikely one", Moiseev said, explaining that the risk of collision was low because the ISS and the fragments had different inclinations. India successfully tested its anti-missile weapon on 27 March destroying the Microsat-R in low-Earth orbit. Prime Minister Narendra Modi has praised this as a benchmark event, stressing that the test has proven India's ability to safeguard its space assets. Meanwhile, NASA Administrator Jim Bridenstine has slammed the test, saying that it had created at least 400 pieces of debris, increasing the risk of the ISS colliding with debris by 44 percent. Microsat-R, designed by the Indian Defense Research and Development Organization, was launched into orbit atop the PSLV carrier in January.